Looking forward to Ophir from Terra Nova Games. The ship artwork looks very similar to my recent Kickstarter delivery of Fantasy Frontier but I’m a sucker for pickup and deliver/ship games. 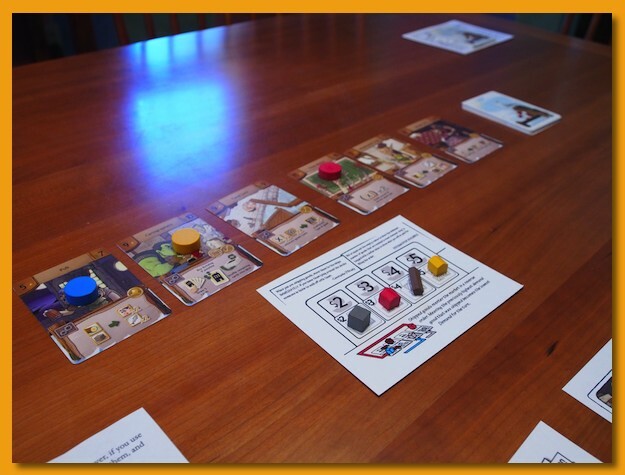 Ophir is a pick up and deliver, set collection, resource management game set in an ancient, prosperous world for 2-4 players. In Ophir, you’re an influential merchant of government, trade, or religion with a singular focus – the construction of the Temple.The Temple is built layer by layer through collective contributions of Silver and Gold. These precious metals are delivered by your merchant ship for Victory Points at the Temple, one of the seven locations you’ll be visiting in Ophir.To afford these precious building materials, you must navigate the region’s seas against your clever rivals to collect Goods. You must then decide whether to fulfill the demand at the Market for Coin, or exchange the goods for Favor with the Temple.Well-timed trades, efficient cargo storage, and tactical transportation will be the keys to your success. But you must be swift in your travels, because the game ends immediately once the construction of the Temple is complete. 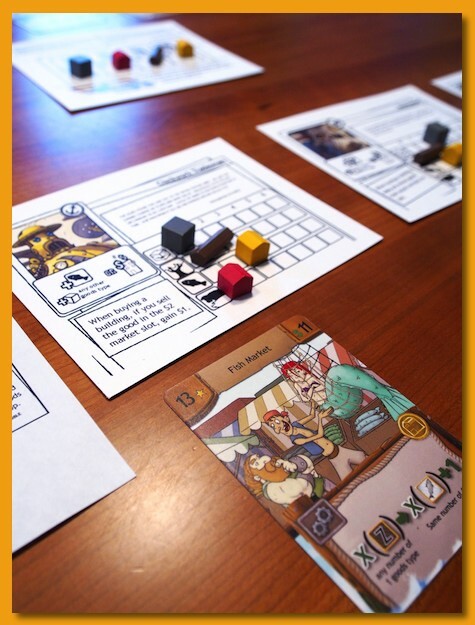 Will it be you whose name is spoken alongside the stories of Ophir’s wonder?Ophir’s accessibility makes it a joy to play for families — and with its modular setup, exclusive player roles, and mercurial market, Ophir has tactics, tension, and replayability for experienced gamers to savor! It’s got some pretty cool 3D bits too! 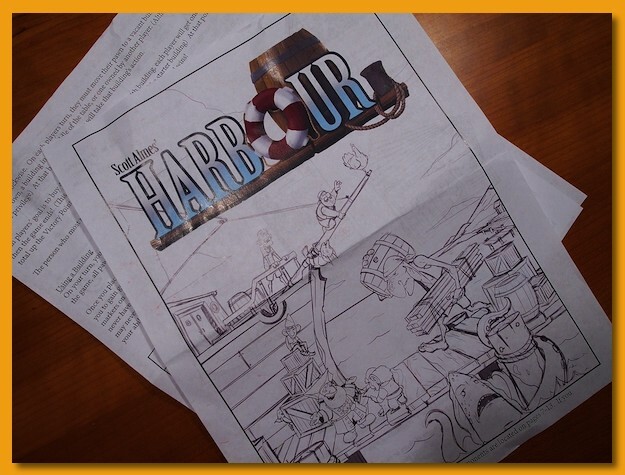 A few weeks ago I threw my name in a Tasty Minstrel Games-shaped hat in hopes of getting a review copy of Harbour sent to me and I was lucky enough to be picked. I’ve reviewed games direct from the designer and publisher before butit’s not all that common and I enjoy the opportunity to play and review what’s coming up. 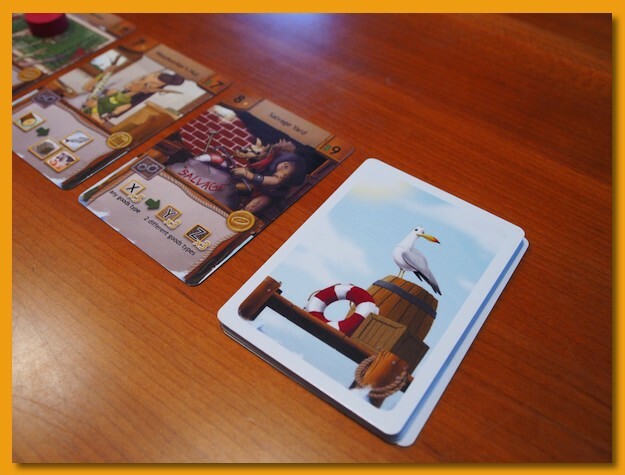 Harbour is a card collection game that uses an action selection mechanism via the placement of a single “worker”. A field of cards in the center of the table provides a selection of buildings you can purchase and when someone builds their fourth building, the round ends and the player with the most points (from the buildings) is the winner. A turn requires the player to move their single worker from one building to another building and to take the action the building provides. Players are trying to earn goods (tracked on a personal board) and time the sale of those goods in the volatile market to earn money to purchase a building. However, owning a building doesn’t mean its action is out of play; it just means that other players might need to pay you to use its ability. Players start with a special starting building that includes a special ability that other players do not possess as well as small tableau where one keeps indicators of goods earned. 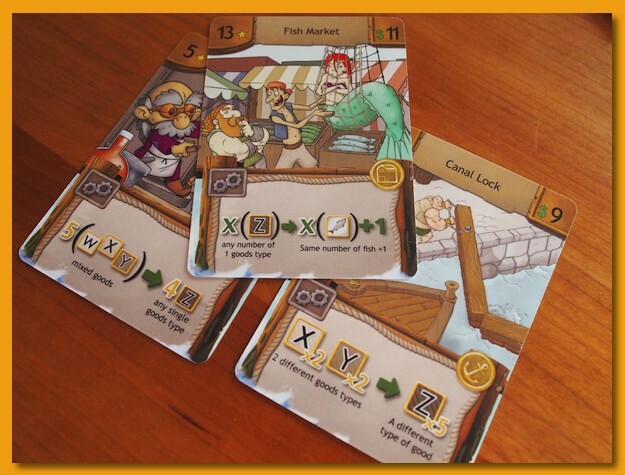 In addition to a building’s action, they also depict a purchase price, a point value, and special icons that provide other bonuses and/or stacking features when the owner takes actions during the game. I’ve played the game the game a few times and I must say that it’s, frankly, not much fun. The game seems to work mechanically but I found no reason to want to play again. The last time we played, we decided to shut it down after everybody built only two of the four buildings. The buildings depict consistent iconography for their actions but in a strangely mathematical manner. A player in my game group went so far as to call in Algebra. The game has a much slower pace than I’d prefer since each building provides only meager advancements in earned goods. The market is extremely volatile and it’s easy to get trapped with large number of goods that were worth a lot but when the market collapses after a sale you can be left with a relatively worthless load of crap. Luckily the cards provide enough chaos that within a turn or two you might be back in the running. I found the artwork whimsical but not to my liking. The artwork didn’t provide anything to the enrichment of the theme of a harbour depicting trolls, gnomes, skeletons, robots, etc. ; a mishmash of characters with no cohesive plan and at times, uneven. The backs of the building cards have very nice artwork but then the fronts seem to have been designed by someone completely different with an entirely different style. Unfortunately I was disappointed in the game but I hope they can clean up some of the rough spots before Kickstarting it in a few weeks. I wish them luck though.